A newly formed band is coming to rock the house. 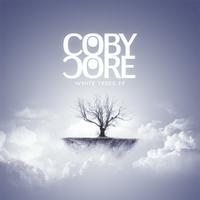 Coby Core is a Swedish rock band that sounds like Third Eyes Blind and 3 Doors down rolled into one. Fans of guitar-sounding and adrenaline-pumping music would love the great talents of Rasmus Mårshagen (guitar and vocals), Johan Hargne Nohagen (piano/keyboards, and vocals), Stefan Hallqvist (bass and back vocals), and Niklas Westblad (drums). Watch out for this band because they will soon be one of the most listened to bands in the charts. In their new album, White Trees EP, the band bridged the gap between modern alternative and 80’s rock. “Basement” is one of the best alternative feel good songs ever written. “White Trees,” the carrier single, displayed the band’s unique taste in combining piano and bass. “Photo of Yore” will make you want to jump up and down with its fantastic beat. And finally, “Chemistry” gives listeners a taste of alternative at its finest. They also have released the carrier single’s official music video, available for viewing in their YouTube. Using prop, improvised instruments, the band sets the listeners’ mood with video’s black and white contrast and their slight 80’s look. With their choice of sound, they will not only have young listeners, but also adults who desire to relive the hip of 80’s rock. Young and equipped with high caliber music, Coby Core is indeed a band with flexibility and style. Their 1st EP released last March 2009 called Surface is still available for digital download in their website.